Occasionally when talking to prospective clients about our idea management software we are asked how many ideas a healthy CI Process should generate. Our answer to them is that a healthy CI process can generate one idea per employee per month. This normally comes as a surprise to organizations accustomed to receiving one tenth as many. In the mid-1990’s, while working at a major automotive supplier with 10,000 employees distributed across 3 plants, their Employee Suggestion Program (which they inherited from one of the BIG-3) generated a whole 2000 ideas… well short of the 120,000 a healthy CI process should have yielded. (To be fair, most of these ideas were submitted by teams of 5 employees). These 2000 ideas consumed an enormous amount of resources in non-value added activities. Ideas were being recorded on paper. They were then transcribed by an administrator into a database and an “Idea Folder” was created. This folder was then passed around to the stake-holders (decision makers, evaluators and implementers). Many times these folders would sit on desks for weeks until an administrator came by looking for it because the person who submitted the idea wanted to know the status. Not a pretty picture and one that would spell total chaos if challenged with 120,000 ideas. Further compounding the problem was that less than 20% of the ideas were implemented. A good reason for this was that the organization didn’t have a good CI culture. All ideas, regardless of how big or small had to be approved prior to implementation. The approval was done by committee… endless meeting hours spent by a team of engineers and managers deciding which ideas had merit and who they needed to be delegated to. Nobody was happy with the system except the few lucky ones who were able to drum-up a few $50,000+ ideas and benefit from several thousand dollars worth of gifts. The overall program bred mediocrity and little excitement. The clumsiness of the business process associated with this continuous improvement scheme was self-sustaining. The good ideas took too long to implement and often they were rejected with little explanation to the submitters as to why. This all led to low participation and even lower idea quality. It was difficult for this team to effectively process 2000 ideas let alone 120,000. 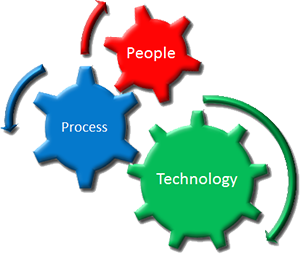 However, managing your CI process need not be this complicated given modern day technologies. A good, web-based idea management solution will do away with most of the pit-falls and problems found in a manual system. The system is accessible by all, idea routing is automated, and stake-holders are kept informed of the progress of all ideas they are associated with. Should stake-holders take too long on their assigned tasks, they are promptly reminded by the system. Employees are able to record their ideas via a simple web-form and the system administrator no longer has to transcribe them into the database. Idea delegation is semi-automated. Upon submission, the system automatically routes the idea to the idea champion. In ‘Lean’ parlance this is the idea coach, or mentor. The champion checks the idea for merit and is able to delegate it to others should it require support. No longer are ideas passed around in a folder since relevant attachments can be uploaded to the system. The virtual folder can be delegated and reviewed from any place in the world! So back to the 120,000 ideas: The reason why companies like Toyota can claim implementation rates greater than 80% is because most ideas are implemented before they are documented in any system. In a truly lean organization, having a committee to evaluate and rule on 120,000 ideas is not necessary. The CI process, when implemented correctly, targets the simple improvements that can be made by individuals in their own areas with little supervisory approval. The process alone distributes the workload of evaluating ideas and confirming their implementation to the idea champions or direct-line supervisors. The more complex ideas are routed by the champions to the necessary resources, and the system ensures the virtual folder does not sit on anyone’s in-box collecting dust. The greatest winner in the implementation of a web-based idea management solution is not only the whole organization but more importantly the management team. No longer is an employee suggestion program a burden to the management team, but rather an asset. The metrics associated with such solutions give organization leaders easy to get to and valuable live instant statistics regarding the health of their programs. These metrics take the guesswork out and allow managers to quickly identify where the business process can be improved. Ultimately, the benefit of such a system is reflected in the bottom line and most likely in manager bonuses. Posted on Tuesday, May 05, 2009 by George R.
Great post. 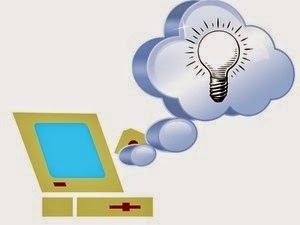 I truly think (and experience that at the time) that the tool is necessary, not only for a huge amount of ideas. I would say that over 200 to 300 ideas per year it is very difficult to have a satisfactory process "by hand". In a lean organisation, this process is adapted and tuned to be the most efficient. Killing the committee and empowering the people will strongly first reinforce the whole CI by getting the adhesion of the team and then improve drastically the implementation rate, which is key for the success. Good idea with a web based system. But why not a Kaizen app om Your mobile phone?